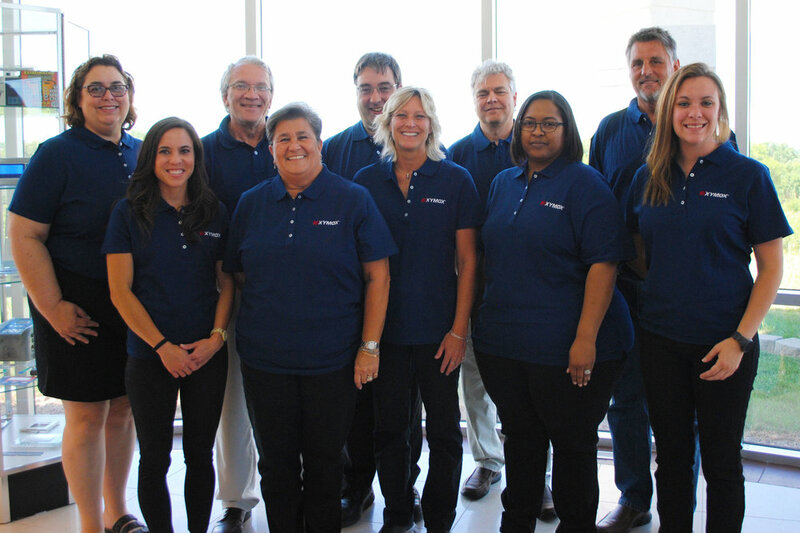 Meet Our Team — Xymox Technologies, Inc. The Xymox team is as talented and experienced as it is large. And together, we have been paving the way in printed electronics for more than three decades. Today, our employees average more than 12 years of tenure expertise ensuring needs are met and expectations are exceeded. The company-wide chemistry we have bleeds into our day-to-day activity offering a unique customer experience that is sure to deliver each and every time. Tom Drewicz, Bob Koenig, Bill Bennewitz, Brad Locke, Dennis Marsolek, Joel Seiden, Lisa Martinez. Bob Hartline - President & CEO - Bob has been with Xymox since 2009. 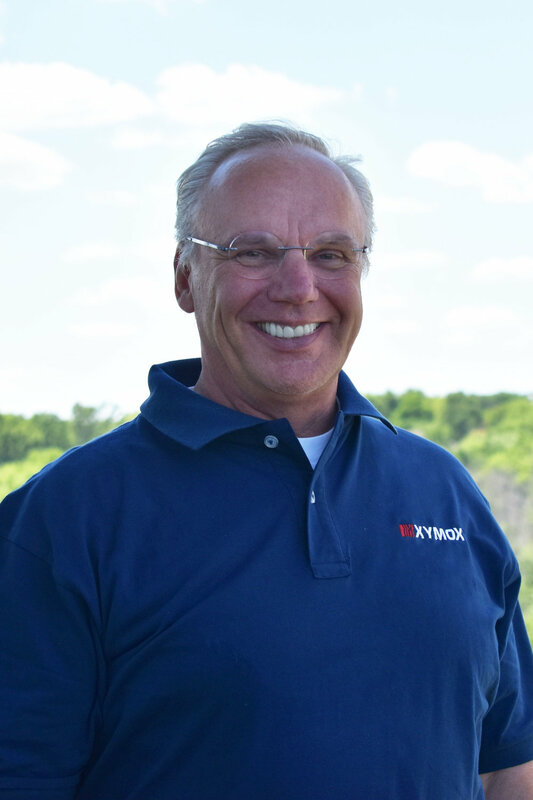 Prior to joining Xymox, he has held a variety of positions in the printed electronics industry, including executive management, production management, quality management, and engineering management over the past 30+ years. Bob received an associate’s degree in Commercial Art, and Graphics from Gogebic Community College. Lloyd Brown - Director of Sales and Marketing – Lloyd joined Xymox in 2016 to lead growth in the membrane switch and printed electronics markets. Prior to joining Xymox he has had a career path in manufacturing, sales, marketing and executive management in a wide variety of corporate settings. Lloyd has a Bachelor of Science degree in Chemical Engineering from the University of Wisconsin and an MBA from Marquette University. Bill Bennewitz - Director of Engineering - Bill has been with Xymox since 1991. Responsibilities include quoting, new engineering product launch from prototype to production, and other sustaining engineering activities. Prior to joining Xymox, he was a Senior Manufacturing Engineer for North American Philips Company in Milwaukee. Bill has a Bachelor of Science Degree in Mechanical Engineering and PE licensure in the state of WI. Darrell Busalacchi - Vice President of Technology & Supply Chain - Darrell has been with Xymox since 1987. He oversees many departments including Quality, Environmental Health and Safety, Purchasing, R&D, Testing Lab, and Information Technology. He has held many positions at Xymox such as Design Engineer, Web Engineer, Process/Project Engineer, IS Manager, Sales Engineer, Technical Operations Manager, Director of Technology, and Director of Quality and Engineering. Darrell has a Bachelor of Science Degree in Electrical and Computer Engineering with a minor in Math from Marquette University. Jon Seboe - Director of Operations - Jon joined Xymox in 2017 and is responsible for the overall management of all manufacturing operations. Jon comes to us with 13 years of manufacturing and engineering experience in a manufacturing environment that operated as provider of custom engineered solutions. He also holds a Bachelor of Science Degree in Manufacturing Engineering from the University of Wisconsin - Milwaukee and a Master of Science in Engineering Management from Milwaukee School of Engineering. Brooke Steinbrenner - Human Resources Manager - Brooke has been with Xymox since 2005. Responsibilities include interviewing, hiring, firing, new hire orientation, wellness champion, 401k administration, benefits negotiation and administration, payroll administration, training, employee relations and welfare, coaching and discipline, first aid and safety, and event planning. Prior to Xymox, she worked in recruiting at a Northwestern Mutual sales office. Brooke has a Bachelor of Business Administration and a Masters in Human Resources and Labor Relations, both from the University of Wisconsin - Milwaukee. She also holds a PHR certification. Patrick Parks - Director of Finance - Patrick joined Xymox in 2015. He manages all financial reporting and analysis, general accounting, cost accounting, accounts receivable, accounts payable, treasury management, and banking relations. He has 20+ years of experience across a myriad of industries, including medical device, automotive, HVAC, servo motors, injection molding, and engineered industrial packaging. Patrick is a CPA, and holds a Bachelor of Science Degree in Accounting and a Bachelor of Arts Degree in Spanish from Marquette University. Dean Hotvet - Director of Business Development - Dean joined Xymox in 2015 and is responsible for cultivating and growing the printed electronics portion of the business which includes projected capacitance touch screens, screen printed batteries and other emerging markets utilizing Xymox's screen printing and material conversion expertise. He worked for The Bergquist Company's membrane switch division for 14 years as well as Eaton's Cooper Power Division for 5 years prior to joining Xymox. Dean has a Bachelor's degree in Physics from Colorado College and a Master's degree in Electrical Engineering from the University of Minnesota.